Thanks so much to Dutton Books for these copies! #CJSReads is THRILLED to have the opportunity to read and review this book. Gardner is one of our favorite authors - if you haven't read her, get on it! 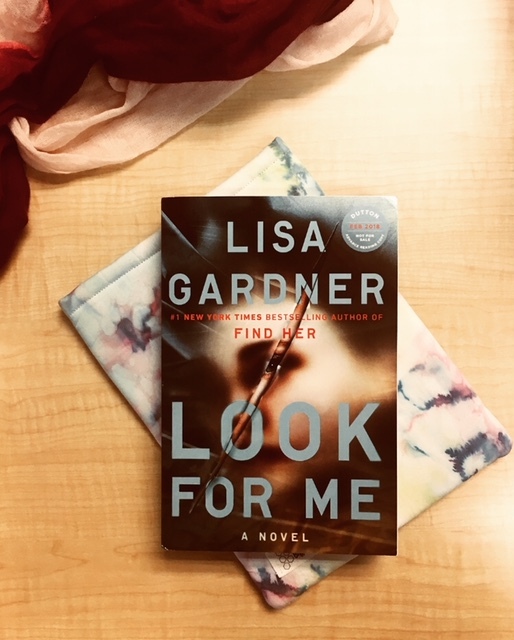 Last year I had the privilege to read Lisa Gardner's FIND ME (you can see my review HERE). Detective Warren is back and this time so is Flora, the survivor from FIND ME. 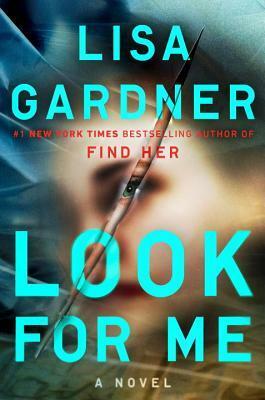 One thing I love about Gardner's series book is that they all seem to read well as a standalone. There's some references to the past, but it doesn't leave you confused or needing to read the past books. Does it help to do so? Of course, but it's not a necessity so do not let that hinder you from picking any of these books up out of order. Gardner knows how to tell a story. We get multiple perspectives in this one - mainly through D.D. and Flora. I think my favorite part, however, was reading Roxy's essays as we get to see exactly what happened in her life and how she became mother to her siblings when their mother could not. The survivor story line with Flora was also a welcome addition. This felt just as much Flora's story as it did D.D.'s. This novel touches on survival, revenge, mistakes, forgiveness, family and how far one would go to stop the abusive cycle that continually haunts all the characters. Highly entertaining, I flew through these pages. While this is not as dark in the macabre, bloody sense as some of her other books, it definitely still did leave a mark. I also guessed correctly on the ending midway through the book ;). 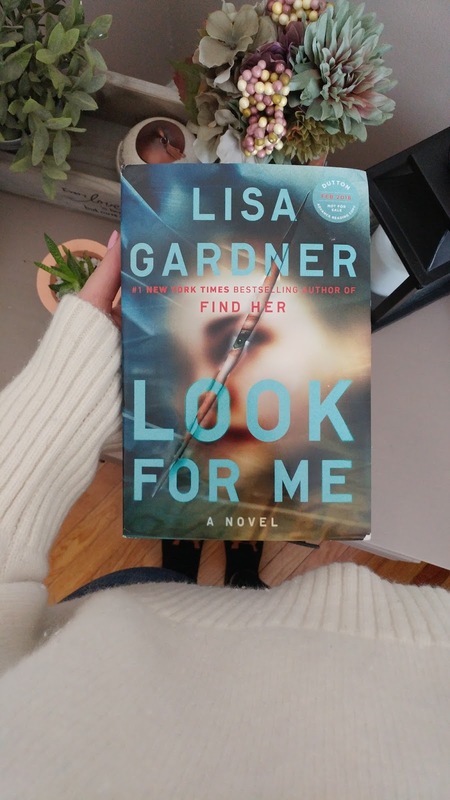 I highly recommend any police procedural/thriller lover to read Lisa Gardner - you'll be happy that you did. I read FIND HER by Lisa Gardner last year and I absolutely loved it! Well, Detective D.D. Warren is back with Flora Dane to seek justice in a gruesome murder case. In true form, Gardner brings the read on a crazy ride with suspense at every turn. It just reinforces that I need to get more of her books. Detective D.D. Warren is assigned to a murder case. A family of five was brutally and savagely murdered - all but one family member were accounted for. The 16 year old daughter is missing. Did she manage to successfully escape or was she taken? Warren isn't the only one looking for the girl, Flora Dane, the survivor from FIND HER, is also looking for justice. While their ideas of justice differ, they must work through the clues that were left behind in order to figure out if Roxy is a victim or their suspect. The relationship between Warren and Dane is fantastic. They have a great chemistry and are just opposite enough of each other that it makes their partnership work without too much head-butting. I was completely sucked into this one from the beginning and found myself flipping the pages nonstop. Despite being book nine in the D.D. Warren series this can absolutely be read as a standalone. That being said, I would recommend reading FIND HER first, because then you can get to know Flora better and her story. Overall, another solid crime thriller for fans of the genre. It was an entertaining and engrossing read from start to finish. Detective D.D Warren is back and, this time, she has brought Find Me’s Flora Dane with her for the ride in the ninth instalment of the Detective D.D Warren series by Lisa Gardner, Look For Me. I loved Find Me so I was thrilled to find out that Flora Dane would be back in this D.D Warren novel. I found her character completely fascinating and loved her “kill or be kill, seek revenge” attitude. Fast paced and intricate, Gardner has done it again with her newest publication! The novel opens with a family of four savagely murdered, a teenage girl, Roxy, is missing and police desperate for leads. Is Roxy in need of help or is she the perpetrator? Detective Warren is on the scene with the help of her new sidekick, Flora Dane. I loved the banter between Warren and Dane. They really cracked me up and I feel like they will be a brilliant new partnership moving forward in the series. Warren’s serious need for rule following and Dane’s offbeat justice are the perfect juxtaposition. I found this novel to be incredibly entertaining and I was completely addicted to the storyline but found it a lot less "thrilling" than Find Me. 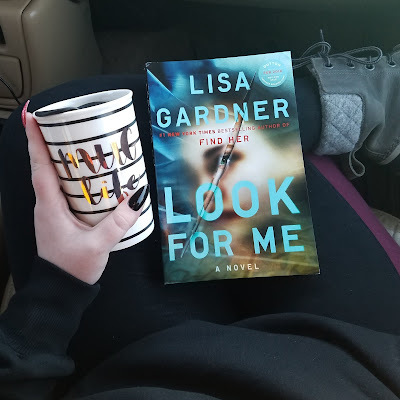 Don’t get me wrong, I still loved the story and I was glued to the pages but I feel that fans of Find Me, who are looking for that same type of FEEL that Find Me had, may find themselves a bit disappointed. Dane is fairly well behaved throughout this novel and seems to be more of a law-abiding citizen. The plot is fairly straightforward, well developed, but straightforward. I didn’t mind this at all. This is the ninth novel in the series but I had no problems following along (in fact, the only other D.D Warren novel I had read previously was Find Me) so this can absolutely be read as standalone. A great, entertaining crime read that I think crime fiction fans will absolutely enjoy.